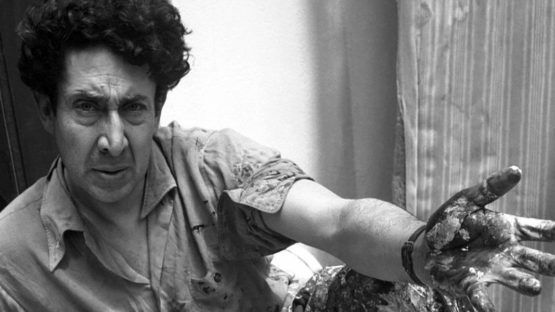 An extremely prominent figure that emerged from the Mexican school of great mural painters, David Alfaro Siqueiros was an artist whose incredible depictions leave him standing shoulder to shoulder with the likes of José Clemente Orozco and Diego Rivera. The focal point of this artist’s paintings and murals was usually the feature of social and political subjects. Stylistically, David Alfaro Siqueiros was heavily influenced by the visuals of Francisco Goya, all kinds of religious art and dynamics of Italian Futurism. By combining the features of all his inspirations, the author was able to use powerful perspective, monumental forms, tense shadows and a restrained color palette to their finest dramatical limits. It should also be noted that, in addition to painting, Siqueiros was also an enthusiastic political activist with a turbulent personal history full of strikes, protests, jail time and even exile. David Alfaro Siqueiros was born on the 29th of December in the year of 1896, in Chihuahua City, the capital of the northwestern Mexican state of Chihuahua. He was a son of a bourgeois family, a circumstance that allowed young David many commodities and options whilst he was growing up. In 1908, he went to Mexico City in order to study visual arts and architecture at the Franco-English College. The education segment of his life was timed quite interestingly as this was a tumultuous period of Mexican history. In 1910, the famed Mexican Revolution erupted and the aspiring Siqueiros decided he would like to be a part of the struggle. He started to be involved with student strikes and was even one of the leading figures behind a few of these protests. For example, David was one of the organizers behind the successful strike that changed the teaching methods at the San Carlos Academy. 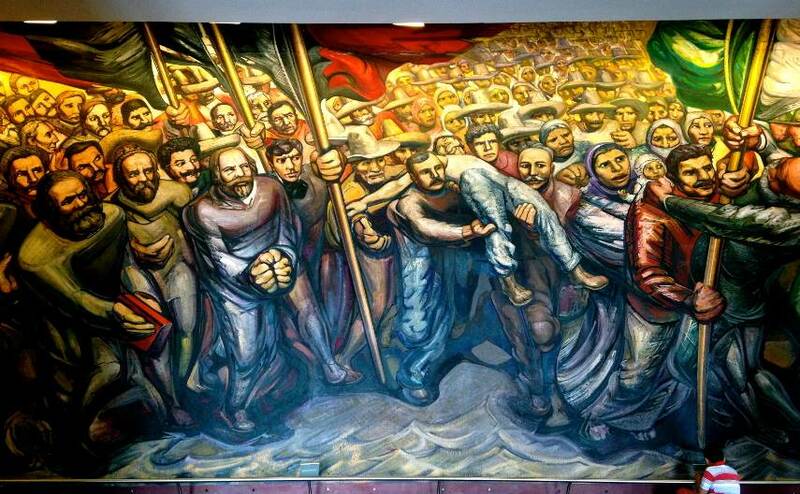 When he turned 18, Siqueiros joined the Mexican Revolution Army where he eventually attained the rank of captain. David was also a member of the Communist Party where the main goal was to undermine Mexico’s new military dictator, Victoriano Huerta, and all the characteristics of his regime. 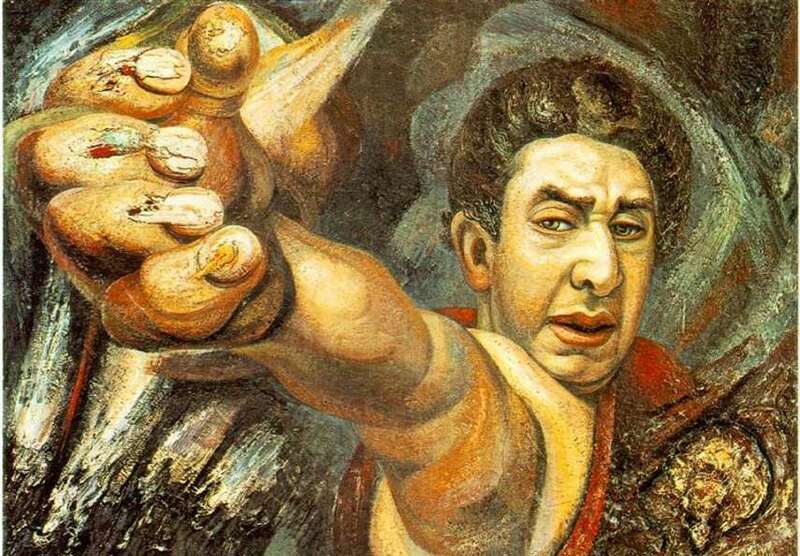 During all this time of struggles and turbulent circumstances, David Alfaro Siqueiros saw artistic expression as something that blended seamlessly together with politics. He would paint murals, applying what he learned at the Franco-English collage. These huge and bold murals were often infused with causes that supported his leftist politics and the author literally declined any commission that did not have these norms in mind. While still a part of the Mexican Revolution Army, the young man co-founded a group called the Congress of Soldier Artists. David teamed up with the aforementioned Diego Rivera on several assignments. Rivera was as well a hard-core leftist, so the two got along famously. The muralists were further reinforced by Javier Guerrero, after which the artists launched El Machete – a weekly paper that soon became the official mouthpiece of the country’s Communist Party. Interestingly, both the life and work of Siqueiros bounced back and forth as far as success and acceptance go – periods of glamourization were followed by imprisonments and troubles with law. This was the case throughout the 1920s and it all changed about a decade after that when David arrived in the United States. He worked in Los Angeles for a while and this is often referred to as the mildest period of David Alfaro Siqueiros’ career. Most of the murals he made in the US were created in order to tell a tale of the America’s forceful relationship with Latin America. Soon, the author relocated to New York City and opened up a school for young artists. The legendary Jackson Pollock was one of this school’s earliest students. However, following the rise of the left-leaning Lázaro Cárdenas to the Mexican presidency, Siqueiros returned to his home country, happy that a similar minded individual was finally in charge of the nation. His dynamic activist and revolutionary public art was brought to life by combining avant-garde visuals with symbolism and folk art vocabulary. After the Spanish Civil War broke out on the European soil, the artist traveled to Spain to serve and fight against the Fascists. He continued his anti-Fascist theme during World War II as well and never truly abandoned the fiery passion for left-wing causes. In 1974, Siqueiros died in Cuernavaca, a place taht served the role of his home for the last decade prior to his death. 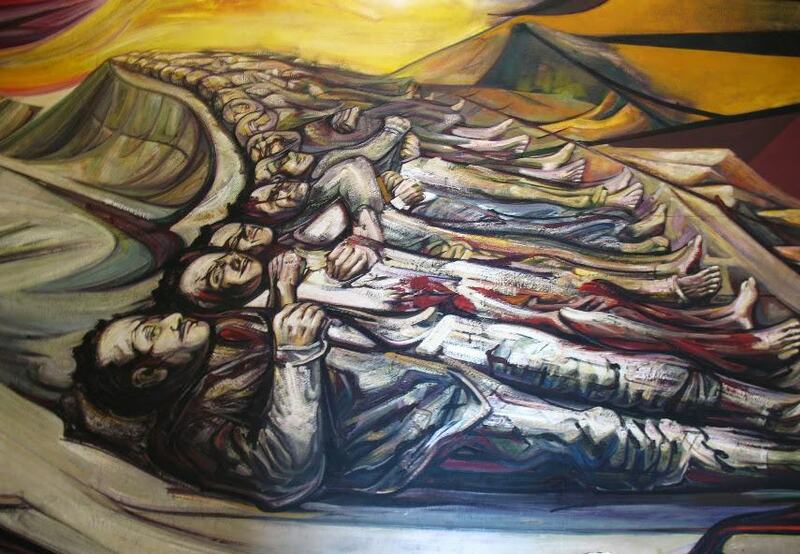 What strikes us the most about the art of David Alfaro Siqueiros is just how uncompromising it was – his work did not ever fear from stepping over some imaginary social or political line, never holding anything back. The art of Siqueiros was not even compromised by the fact its maker was placed in jail on more than one occasion – such events only enraged the author more as David only became more ruthless towards aspects of life and society he stood against. Furthermore, unlike many of his contemporaries, Siqueiros never accepted any commission or assignment that conflicted with his ideology even in the slightest. His devotion to education and the determined belief that public art could inspire the masses to demand changes and start revolutions has turned this Mexican legend into a worldwide inspiration and a model of how artistic activism can set fires if applied correctly.